The Draper furniture collection pays homage to the sleek clean lines of the mid century furniture of the 1950’s and 1960’s. 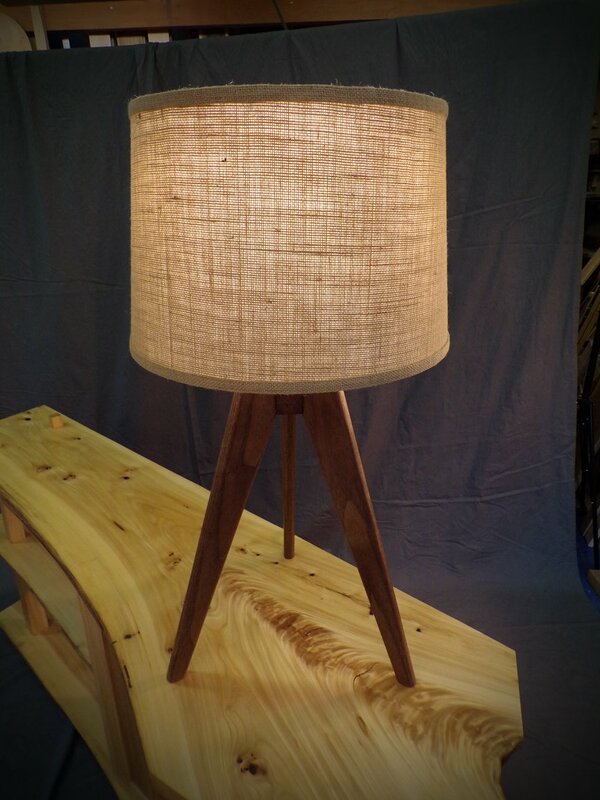 Tripod base table lamp ,legs join a hexagonal center post and cord runs through a wire chase in one leg. 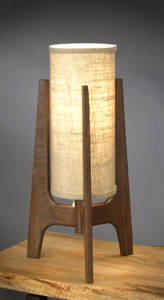 These mid century style lamps can be done in a variety of domestic hardwoods to compliment your decor. 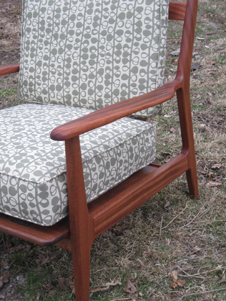 Mid century chair inspired by the Selig chair designed by Poal Jensen. 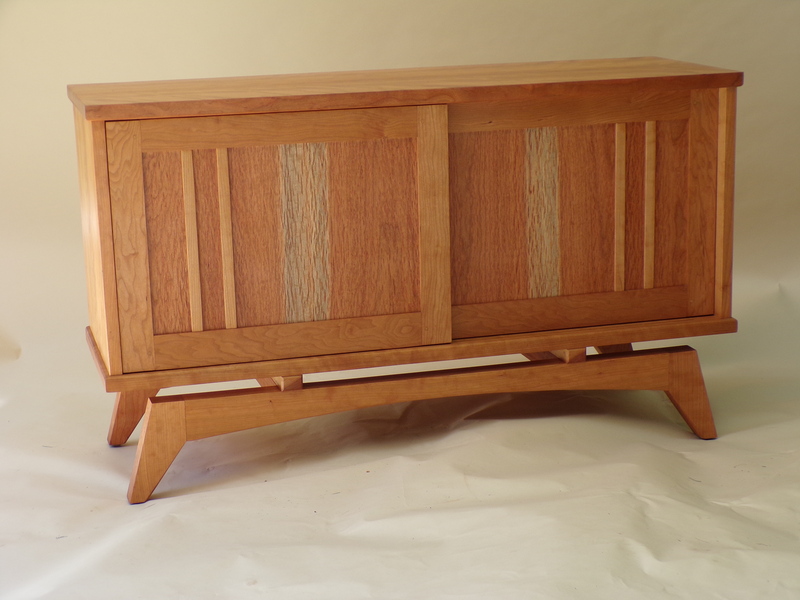 Mortise and tenon construction throughout chair. 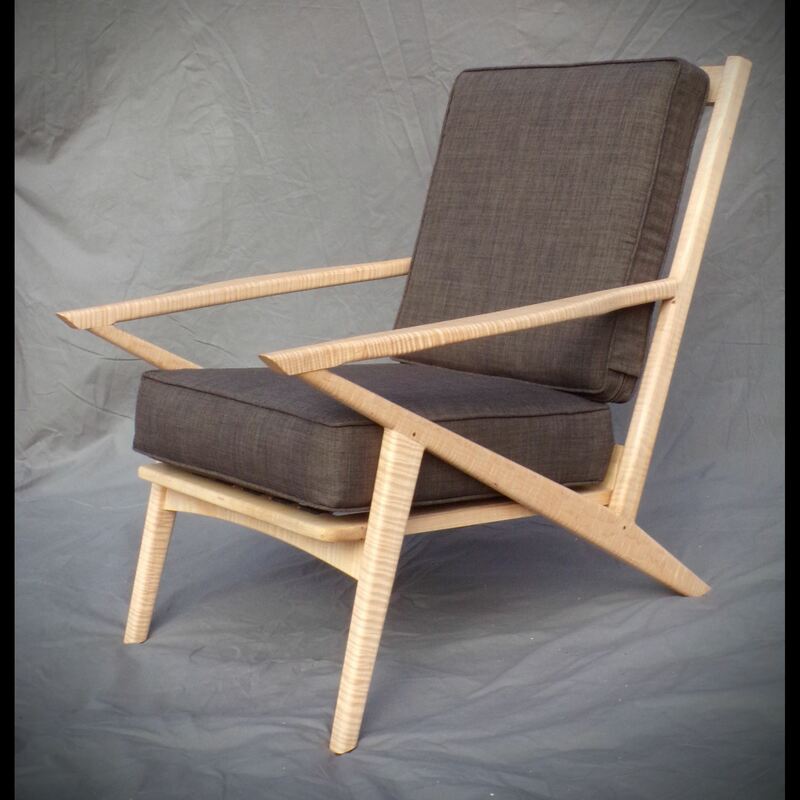 This chair can be made in a variety of wood species and with your own upholstery fabric or our standard grey fabric. 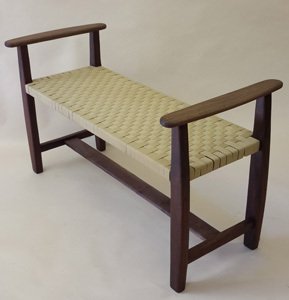 bench seat with woven fabric seat. Bench is very lightweight while still remaining strong. 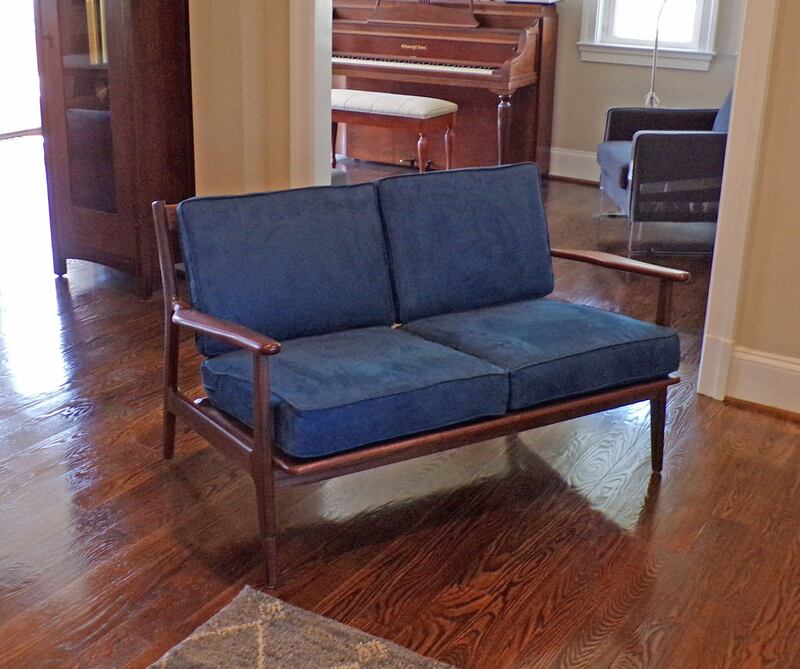 Bench can be made in a variety of domestic hardwoods and fabric tape choices. 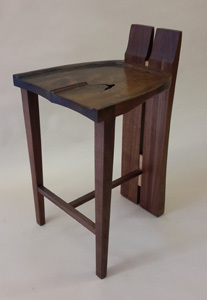 Sculpted seat stool with low lumbar support back. 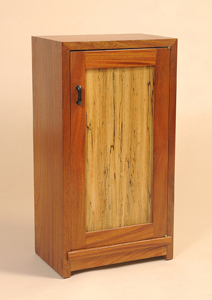 Can be made in a variety of domestic hardwoods.